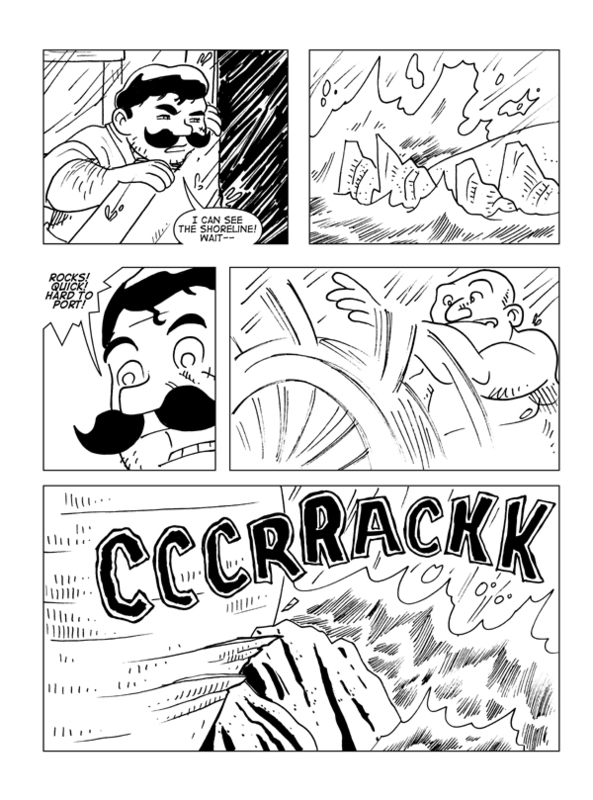 Claws And Effect, Page 4 – Catbeard the Pirate! I like drawing water crashing against rocks and things. This opening sequence has been a lot of fun for me. I also like doing my own hand-lettering on sound effects. I know there are a lot of really good fonts out there these days, but sometimes I see the same ones over and over again, and they seem a little stale. Examples of good-old-fashioned hand-lettering really interest me.